At Rendezvous Hotel Singapore, it is all about making a dream wedding come true. Ideal for an intimate Wedding banquet or Solemnization, we take delight in perfecting the celebration for you. 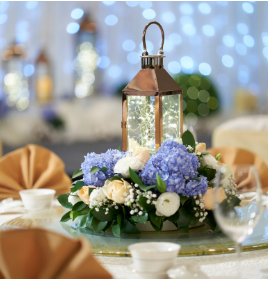 • Wedding Lunch Package from S$988.00++ • 2019 Wedding Dinner Package from S$1,138.00++ Sign up at our wedding showcase to enjoy exclusive perks! Exclusive perks: • Complimentary one table (minimum of 15 paying tables with 16th complimentary) • Complimentary one-night weekend Anniversary stay in Club Room • Extension of day-use room to one-night stay • Buffet lunch or dinner for Wedding Couple at Straits Cafe A minimum of 15 tables; maximum of 24 tables. Other terms & conditions apply.